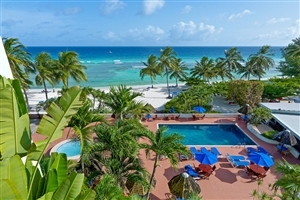 Barbados’s stunning South Coast is home to the warm and welcoming Coconut Court Beach Hotel, a family owned paradise whose family friendly outlook and soothing ambiance come together to ensure travellers all over the world of a truly spectacular stay beneath the golden Caribbean sun. 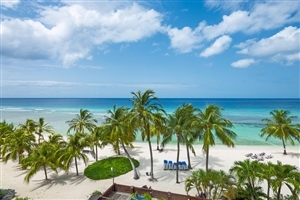 Sprawled out across pristine white sands and looking out over the ebbing waters of the sea, the hotel sets the tone for a rejuvenating experience with its stunning views and modern comforts not to mention its attentive levels of service. 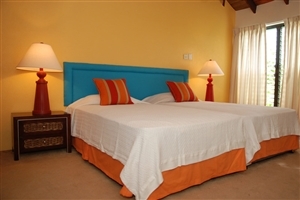 Situated close to many surrounding highlights such as the capital city, Bridgetown, St. Lawrence Gap and numerous dining venues, the hotel is ideal for the avid explorer, while the many in-house amenities are the perfect icing on the cake. 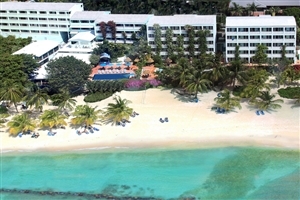 Nestled atop the gorgeous, pristine sands of the Southern Coast of Barbados, the Coconut Court Beach Hotel sets the tone for an undeniably soothing getaway that infuses the natural elements of the surrounding area with an abundance of modern comforts, quality amenities and a level of service that only a family owned business can provide. Whether you’re looking to explore and uncover the numerous nearby landmarks such as the capital city, Bridgetown and St. Lawrence Gap or just seek to ease back and enjoy the many in-house facilities offered beneath the golden Caribbean sun, this is one soothing oasis worth remembering. 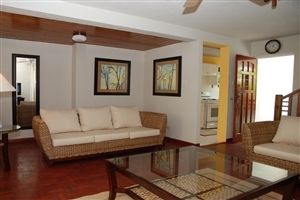 The Island View Apartment offers guests a comfortable accommodation located offsite in The Annex that provides plenty of plush comforts, modern amenities and generous amounts of space. The apartment features a lounge area, a full kitchen and a balcony that showcases limited or mixed views of the gardens and hotel buildings. The Standard Room offers guests a charming accommodation beautifully furnished with a range of modern amenities, plush comforts and lavish furnishings that fill out the spacious setting. The room features a kitchenette and a private balcony that boasts of external views. 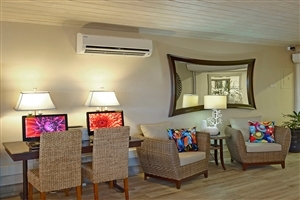 The Ocean View Studio offers guests an intricately designed accommodation fitted with numerous amenities, lavish furnishings and a world of comfort and style. 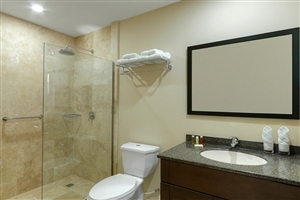 The studio features a kitchenette and a private balcony that showcases gorgeous ocean views. 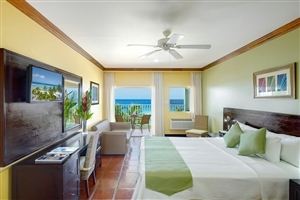 The Superior Ocean Front Room offers guests a stunningly designed accommodation that brings the beauty of the surrounding exterior and combines it with plenty of modern comforts. 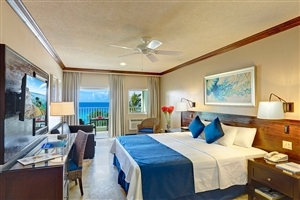 The room features a kitchenette and a private balcony that showcases gorgeous ocean views. 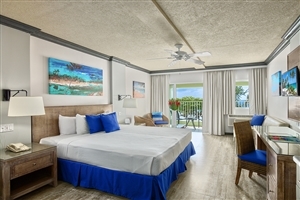 The Deluxe Ocean Front Room offers guests a truly luxurious accommodation that ensures travellers are treated to an abundance of style, space and serenity. 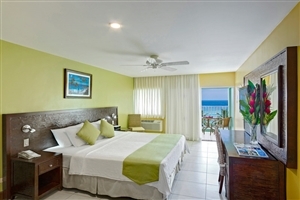 The room features a kitchenette and a private balcony that showcases gorgeous ocean views. 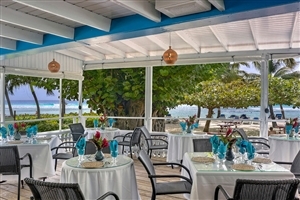 The Deck Restaurant & Bar – Revel in the charming ambiance of this open air eatery that serves a variety of family friendly in an open air setting. The Blue Room Sports Bar & Grill – Be sure to catch the big game at this relaxing bar area along with a selection of tasty dishes. 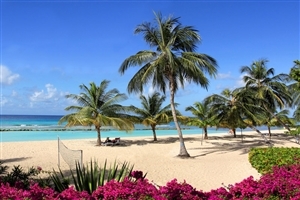 The Seagrape Beach Bar – Ease back and enjoy the warm sands of the beach and refreshing beverages at this welcoming watering hole.